*Void where prohibited. No purchase necessary. Message and data rates may apply. Message and data rates may apply. You will receive 4 msgs/mo. Text STOP to Opt Out or HELP for help. People often ask why I stress the importance of supplementing with a large variety of probiotic strains. It's actually quite simple – different strains of beneficial bacteria target different parts of your digestive system. Studies suggest Lactobacillus casei has an anti-inflammatory role in the human intestine. It has also been shown to reduce inflammation in cells from individuals with Chrohn's disease. This handy strain of probiotic is useful in the treatment of first, second and even third-degree burns. Another study found it accelerated healing and decreased inflammation in cutaneous (skin) wounds. Studies have found that this strain of probiotic works to improve the immune response within the digestive system. New research is showing this immune-boosting property actually extends to the entire body. A study conducted in India found that bifidobacteriumbifidum reduced candida in the digestive system. The study authors suggested that supplementation with this probiotic would be useful for people on antibiotics, as they often cause yeast infections. In one study, Lactococcuslactis was found to break down the sugars lactose, galactose and glucose. Scientists believe it works to break down all carbohydrates in the digestive system, not just sugars. A study of children with atopic dermatitis treated with Lactobacillus paracasei showed clinical improvement in the children's dermatitis. Another study found the same effect in adults. A study in children with frequent respiratory infections found that supplementation with streptococcus thermophilus reduced the toxic load in the body. This “good bug” uses several mechanisms to lower blood pressure and total cholesterol. Studies suggest it could be a useful addition to traditional medications for these conditions. This strain of probiotic improved gastric transit, the pathway of the food you ingest through your body. It also demonstrates “intestinal persistence,” meaning once it's in the gut, it's staying there. Manipulation of gastrointestinal flora with probiotics including Lactobacillus brevis was found to decrease the oxalate content in urine. Lower oxalate concentrations are likely to lead to fewer kidney stones. This disease-fighter is capable of knocking out E. coli toxins, which can cause serious intestinal distress and even death. It has also been shown to kill c. difficile toxins, which can also be deadly to humans. *Every individual is unique. As such, your results will vary. 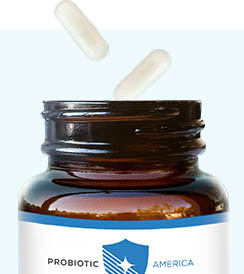 At Probiotic America, nothing is more important than delivering you the highest quality digestive health. That's why we place our emphasis on freshness above all else. Our cultures are raised in a state-of-the-art laboratory in Wisconsin, where they are genetically engineered for maximum quality, potency and effectiveness. 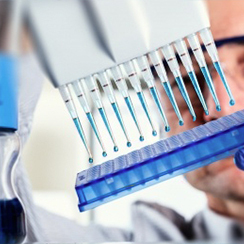 Every batch of Perfect Biotics is tested at our lab for quality, freshness and potency – then tested again by an independent 3rd-party lab – to ensure your order meets the highest possible standards. Our delivery system eliminates the possibility of the live probiotic cultures growing stale and ineffective, and provides you the convenience of always having a fresh supply of digestive health on hand. 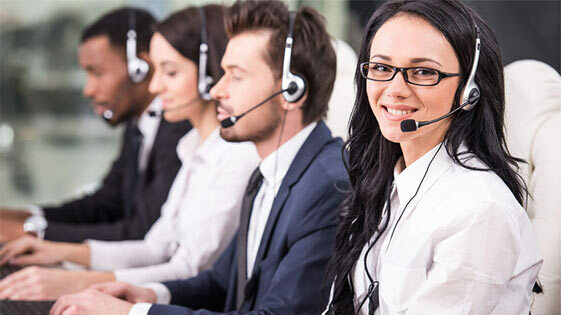 When you put your health in our hands, you can be sure it comes with top-tier customer support. 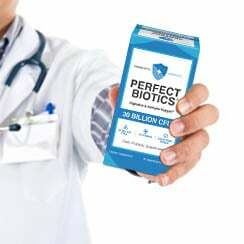 Our team of trained specialists is standing by seven days a week to assist you with whatever questions, comments or suggestions you might have – from what's in PerfectBiotics and how it works, to how to place a re-order. 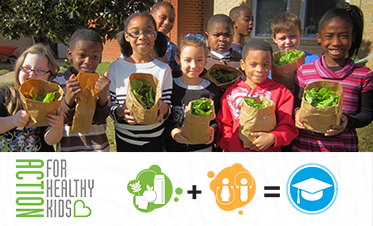 Probiotic America is a proud sponsor of Action for Healthy Kids, which mobilizes schools and communities across the U.S. to take actions that lead to healthy eating, physical activity and healthier schools where kids thrive.